Splento allows you to book one of our carefully vetted professional photographers with as little as four hours’ notice. We match you with a photographer who specialises in the type of photography you require, based on their location and availability. You will receive a confirmation email upon booking. Once a photographer is matched, you will receive a second email notifying you of this. How are Splento photographers vetted? We are vigilant about the photographers we select to join Splento. We interview all of our photographers in person and make sure they are fully qualified in their area of expertise. We accept only the highest quality photographers with a history of excellence in customer satisfaction. All of our photographers are excellent and guaranteed to capture your special moments in the best possible way. How can I get in touch with my photographer? Once your booking is confirmed, you will receive your photographer’s contact details. Your photographer will usually contact you shortly after the booking is confirmed, to discuss about your requirements in detail. I'm having trouble downloading my photos, what do I do? Please get in touch with us here and we will fix the issue immediately. How do I know when my photos are ready? Your photographs will be with you within 48 hours. Once they are ready, you will receive an email containing a link to access them. Once your payment has gone through, you will receive a confirmation email. You can trust us to do the job for you. With thousands of happy clients, we must be doing something right. But don’t just take our word for it, see our reviews for yourself. Can I see the photographer’s work before booking? How many photos per hour does the photographer usually take? It’s usually up 100 photos per hour, however it depends on the type of the session - headshots will be fewer, trade shows will be more. Can I rebook the same Splento photographer? If you are particularly happy with the service you receive from a Splento photographer you can rebook them for future photo-sessions. However, we cannot guarantee that the same photographer will be available on your required date. To ensure a seamless and on-demand service, we suggest you book as normal and let us provide you with the closest available professional photographer. All our photographers are equally skilled and we can guarantee great quality, no matter what. Is it okay for me to book a photographer directly, rather than going through Splento next time? What a lot of people don’t know is that a third of a freelance photographer's time is spent searching for and managing clients and another third is spent retouching photos. This means that only a fraction of their time is spent doing the work they actually love to do - taking photographs! By taking client acquisition and photo retouching out of the equation for photographers, we can offer considerably cheaper prices to customers and keep photographers happier. By booking with the same photographer, outside of Splento, you will pay double or triple rates for the same service and there is no guarantee you will get your photos within 48 hours. I am based outside London, can I still book with Splento? Yes you can, but you can currently only book a London photographer using our website. To book a photographer outside London - we now operate in all major cities WORLDWIDE- please email us at splento@splento.com or call 020 8123 1838 and we will make the necessary arrangements for you. Our minimum order outside the UK is 3 hours. What are Splento’s operating hours? Splento offers photographers 7 days a week from 8am to 10pm - these times refer to earliest and latest available appointment times. What is Splento’s Cancellation Policy? We understand that plans can change, so we do allow you to cancel or reschedule your photo or video session. Can I hire multiple photographers? I’d like some extra photos from my photo session. How do I get these? For an extra £98, we can send you all of the raw files (unedited photographs) from your photo session. Just select this option when you checkout. 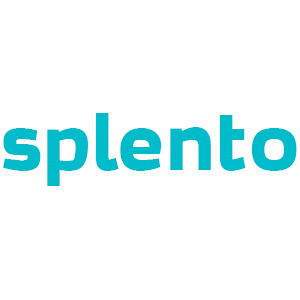 How do I contact Splento? Please visit our Contact page for details on how to get in touch. We’d love to hear from you! How do I become a Splento photographer? We are always looking for photographers who love what they do! If you are interested in joining us, please click here to fill out our application form. How do I join Splento team? To reset your password, please click Forgot your Password? on our login page and type in the email address you used to sign up for Splento. Instructions on how to reset your password will be sent via email. You can update your contact information at any time. Simply log on to your account and update your information on the Profile tab.